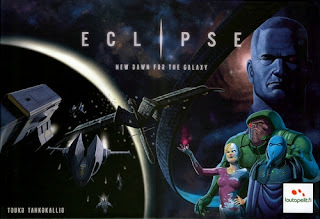 Back in production, the highly popular game Eclipse has finally arrived! The game features seven races: humans and six alien races. Each race has specific abilities that will guide your strategy as you play. 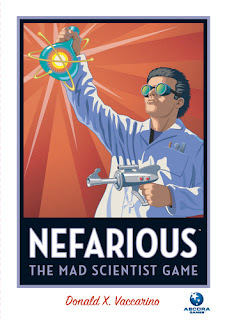 Nefarious: The Mad Scientist Game is another of Donald X. Vaccarino designed games (Dominion, Kingdom Builder, & Infiltration). This quick playing game, players will race to build inventions, i.e. a freeze ray, cloaking device, robotic pet, etc. 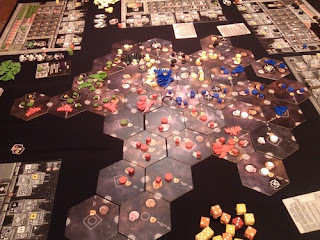 before their opponents can. Player's strategies to get the money to build their creations will have to vary because each time they play, Nefarious will have a different environment thanks to its fiendishly clever twists. 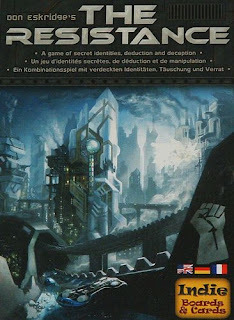 The Resistance includes a bundled expansion, "The Plot Thickens", that offers even more possibilities for discovery and deception.